After a six year silence, the director whose last film was 2009’s Capitalism: A Love Story, Michael Moore, has proven he is as subversive, hilarious and entertaining as ever. This is with his latest feature, Where to Invade Next. The one hundred and twenty minute silver screen affair, released on December 23rd of 2015 through Dog Eat Dog and IMG Films, can be seen as a grand expansion on the themes present in his previous works. Our broken health care system, education and woman’s rights get explored magnificently and illuminatingly. Additionally, he focuses a great amount of the runtime on international lifestyles. Despite this, Moore almost ceaselessly maintains an unexpectedly upbeat, often poignant atmosphere. Such is established with special emphasis on how other countries regard their fellow neighbors. This is both in and out of the work place. A special prominence is put on this fact as designated by their employers. There is also a stirring, and undoubtedly eye-unveiling, focus on the prison complex. Primarily, its treatment of the inmates. An extended segment where Moore visits both a minimum and maximum security reformatory in Norway is especially fascinating. Yet, he focuses just as much on the mutual love and respect the many countries he visits showcase to one another. This is illuminated as well as the alterations America needs. They make a riveting assessment. Such is all the more undeniable when layered together in the manner Moore does here. One of the most recurring themes throughout is the age old principal of being a good neighbor. What is just as prevalent is the message, delivered by one German cop states when discussing his attitude towards his fellow citizens, “Human dignity above all.” That is certainly something America could benefit greatly, and immediately, from. This is if such a suggestion was applied more often to its residents’ demeanor. Such is just as true of their routine activities. The movie focuses in on Moore lightheartedly ‘occupying’ other nations through interrogation. He encounters students, higher-ups, workers and an assortment of other differing personalities throughout this cinematic trip around the world. In so doing, he attempts to find out what ideas assist other principalities in getting superior results in the areas America lags behind in. Every time he finds a potential solution to our republic’s problems, he plants an American flag at the scene. Hence forth, he promises to steal the notion and bring it back to his homeland. It’s a brilliant concept. One that mechanizes as a parody of America’s ability to take the philosophies of others and pass them off as their own. It is also an absorbing international glimpse into how others subsist. These humorous and enlightening elements, delicately woven throughout, are a perfect pulpit. It is one custom-fitted for the equal doses comedic and sobering sensibilities equated with Moore’s often imitated, trademark style. Also true to form, the piece is briskly and expertly paced. For the most part, each issue is given well-divided intervals. Such a component is smartly utilized as to not weigh down the progression of the narrative. Because of this approach, there is no excess here. In terms of the previously stated aspect, this is especially true. This opus begins with a perfect, immediately tone-setting introductory segment. In a sequence which plays as if it was taken directly from Moore’s own dreams, American officials summon Moore to find an answer to their states’ problems. Such is followed-up, just as smartly, with a commencing credits sequence. Moore than flashes many of these issues via news report. 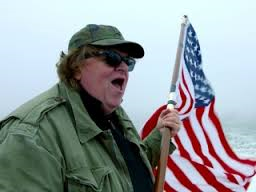 We are no more than five minutes into the motion picture when Moore begins his global ‘invasion’ of Italy. Yet, the breakneck movement of these early sections certainly do not undermine Moore’s stance being cemented and made distinctly evident. It also doesn’t undermine the stalwart nature of what he is showing us. These early glimpses are harrowing, and often horrific. Moore’s position towards American tribulations is clearly and evocatively sent. This is another illuminating instance, another genius decision on Moore’s behalf. Such is because the scenes of police brutality and bloodshed which flash on-screen before Moore’s worldwide travel begins instantly give us culture shock. What follows after the grim, cringe-inducing actions of the acknowledgements is almost continuously peaceful and serene. After what graces our senses beforehand, this is a welcome atmosphere that is largely elucidated throughout. That, in itself, is one of the many successful ingredoents herein. Another is the continued range of emotion buried just beneath the surface of this boldly ambitious Moore has undoubtedly crafted another incredible addition to his celluloid catalogue. Also, keeping to the tradition of Moore’s previous ventures: the quiet, smaller moments are just as memorable and operative as the larger, more punctuative ones. For example, there is a sequence where a young French girl is given a sip of Coca-Cola at a school lunch table. Almost immediately she begins to fidget and shake. This is just as potent as the finale. Here, Moore reminisces with a friend from his home state of Michigan about taking down a wall in Berlin. A discussion with Krista Kiuru, the Finnish Minister of Education, and Tim Walker, a teacher who is also a representative of Finland, is just as mesmerizing. Yet, there are occasional bits, such as an instant where Moore tours a factory in Germany to see the workers relaxing in a room and merrily talking, which appears too convenient. It as if this section was established simply to help illustrate Moore’s point concerning the vastly superior treatment of laborers in realms outside of America. Mercifully, such intrusions are few. What is just as phenomenal is that there are no repeated ideas here reintroduced to simply fill the runtime. Instead, Moore keeps the story fresh. This is with new information, thoughts and suggestions billowing from every new scene and location. Despite this, the composition never seems rushed. Furthermore, the whole never appears to be disrespecting the many personal tales and theories at hand. This is respectfully issued by giving the many personalities we encounter their due chance to make their statement and tell their tale. There is a leisure to the narrative that is meditative but, never overwrought. This is perfect for the tourist-like aspect of the proceedings. Such is as much the courtesy of Pablo Proenze, Todd Woody Richman and Tyler H. Walk’s phenomenal editing. This is also visible in Moore’s jovial, ever-likable presence. Such is also true of his style as both interviewer and documentarian. Technically, the rest of the project is just as striking. Rick Rowley and Jayme Roy’s cinematography is lush and gorgeous to the eye. Walter Thomson’s still photography is superb. The sound department, a collective contribution from thirteen individuals, is crisp and skillful. Likewise, Dan Evans Farkas and Heather Kreamer’s musical endowment is outstanding. But, the pinnacle of all these details is Moore’s exceptional direction. It is as commanding, welcome and attention-garnering as always. Since it is practically impossible to review an undertaking by Michael Moore without the interference of politics, I admit that in the distance between Moore’s last feature the subject has lost its personal appeal. Perhaps the notion of difference making commonly associated with this often controversial theme is not a result I, a working class American, find plausible anymore. It could be an outcome of being weathered by age and cynicism. More than likely is that it is the product of bearing witness to one self-serving failure after another in the governmental sphere for the entirety of my adulthood. This sentiment endures in me regardless of the party associated to the individual in office. So it was out of admiration for Moore’s prior accomplishments, and not the belief that it would be able to hear concepts which America would ever dare mix into their commonplace existence, that I approached his latest offering. The alternating doses of rage and sadness for the state of our country were still undeniably present while viewing his latest affair. It was felt as much with Where To Invade Next as it was after I initially saw 2002’s Bowling For Columbine in a college English class. These sensations also lingered and brimmed within me as much as it did after coming out of a screening of 2004’s Fahrenehit 9/11 and 2007’s Sicko during their respective theatrical runs. Yet, I didn’t initially feel the sense of empowerment that usually erupted within me during a Moore production. That was until a pivotal, underplayed bit of information was dropped in the dialogue of the second half. Soon after this was unveiled it became a late thesis statement of the effort. Upon a follow-up sit through the movie proved to be every bit in line with the liberated impression equated to his prior on-screen journeys. In the end, this helped me realize how necessary engagements like these are. It convinced me again that it isn’t too late to re-fashion the complications America faces. This is mandatory so that we can live in a region where the reverie of tranquility and admiration for one another is as prominent here as it is in this meticulous and timely labor’s depiction of other areas. 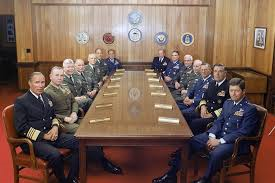 Where To Invade Next gives us hope. Not only is that a start to a better society, it is the first necessary step to seeing this vision Moore has shown us take root. This reason alone makes Moore’s latest masterpiece a compulsively watchable, mandatory experience. The exertion can also be defined by a casually addressed sequence where Moore declares, “My mission is to pick the flowers, not the weeds.” Ultimately, the purpose here is to communicate to all of of us, Americans especially, that we all can use a little bit more of that in our lives. Moore illustrates and drives home this proposition beautifully. The proof radiates through every shining frame of this galvanizing tour de force.